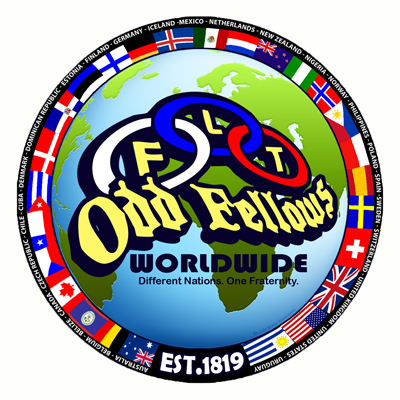 DMC – Odd Fellows Must Be In It To Win It! 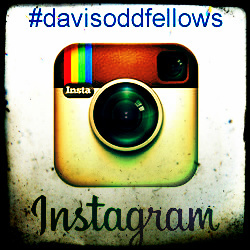 Brothers and Sisters, you volunteered to join the Independent Order of Odd Fellows. You freely accepted an obligation to abide by certain conditions upon becoming a member, even after given the opportunity to leave at one point in the Initiatory Degree. There were no promises made to you, other than an offer to show you some principles and values, which could improve your character as a person. Those principles of Friendship, Love, and Truth, have proven to be too much for some members. We do not always see sincere friendship exchanged between members of the Order. In fact, we probably wonder if we are friends at all. The same goes for love. Do you sincerely love your brothers and sisters? Truth also escapes many members, as they seem to be vying for some strategic position of leadership in the Order; they do not share information, which can be helpful to others for growth. I will go back to the first paragraph in this writing: “You freely accepted an obligation to abide by certain conditions upon becoming a member.” You promised all of us, who were already members of the Order to live by certain principles when we asked for nothing in return. Why do we see a reluctance to embrace each other and to lift each other up to greater heights? 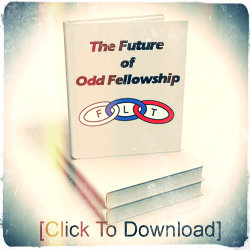 We see longtime members – not all of them – treat newer members with disdain and limit any creative ideas, which could otherwise improve the situation of the lodge. The older members recite code word-for-word to limit growth, as if it was the ends to all ends, when in fact our code has so many contradictions and allowances (probably done intentionally to offer lodges an opportunity for success). Newer, mostly younger members, look for answers and encouragement from members of other lodges. They look toward the successful lodges and see what these lodges are doing and ask questions. This scenario repeats itself over and over in this Order. Thus, deeper resentment grows between the longtime members and newer members. Does this sound familiar? Brothers and Sisters, this is one of the biggest issues in our Order, today. As a longtime member who has served in different capacities and levels of this Order, this scenario is our number one killer. Not opening our minds and hearts to the members who bring the new ideas – and the ENERGY behind those ideas – is the number one killer! Our members must not only step back and allow every member to try new ideas, but embrace those ideas. Look outside the doors of your hall. You see other organizations looking for new members. They are trying to survive, too. They want our members. This is as much a lesson on Membership retention as it is on reminding Odd Fellows to live by those grand principles of Friendship, Love, and Truth. Those basic principles if practiced, should melt away any blockage or barricade set by any member of the Order. Strive to live by the principles of Friendship, Love, and Truth and you will find life gets a lot easier. The lodge becomes a better place for your efforts, too. You are in “it” when you live it. Now, go out and win it.